Are you an aspiring blogger who hasn’t heard of Ghost? Then you’ve just stumbled onto something that could change your life. Whether you’re an independent blogger, or run a larger enterprise, Ghost is a platform specially designed to simplify blog publishing. Its reputation as easy-to-use and powerful make it stand out among its peers. Ghost Machine is a low-cost Ghost-powered product that combines the open-source platform with basic, low-cost storage your blog can live on. It makes an already simple product even simpler. Your blog site can literally be up and running in a few clicks. Suite of finely-tuned editing tools. Designed to be great at one thing: blogs. Integrated SEO & Social tools. The simplicity is down to a carefully crafted suite of editorial tools that have been fine-tuned. It really feels like a platform where nothing is going to waste. Everything has been considered, and reduced to its most effective, light form. That includes the code the platform itself is built on, which is why it’s so fast. Ghost is built using ‘Node.js’—a lightweight form of code compared to other platforms that use PHP. This means Ghost performs significantly faster than some competitors. The built-in social features are not dissimilar to what you get with a lot of phone apps. Tools that let you easily integrate different features (like YouTube and Mailchimp) into your blog for the purposes of posting and sharing. And as for SEO, each post allows you to quickly insert Metadata so search engines will love your content too. 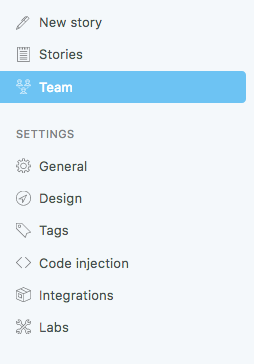 Plus, you can create custom tags (the Ghost equivalent of categories) in no time. 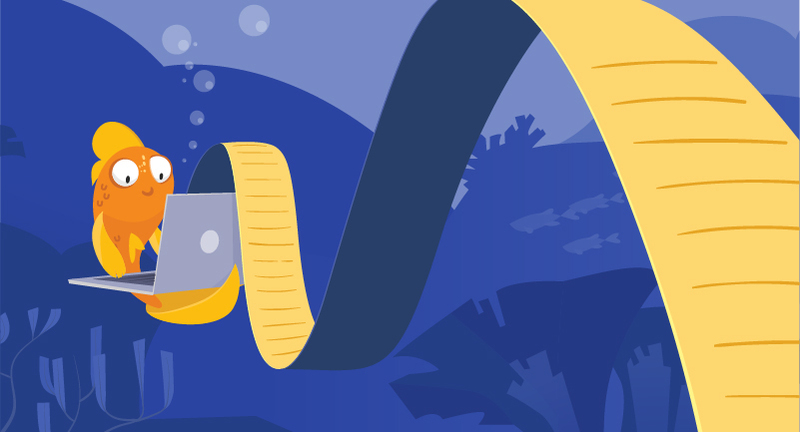 Changing your site’s name and description is just as quick and easy, in another straightforward menu. Choose from one of three packages depending on your needs. Plus, until April 15th, 2019, you can get the Ghost Machine Basic package for just $1.88, saving you 62%. Setup is very simple. Follow the click-through process to purchase Ghost Machine and link it to your Namecheap domain (or buy a new domain if you prefer). It’s an easy, intuitive process because the application automatically links to your Namecheap account. After your order is confirmed, there is a short installation period (only around 30 mins). To find yours, go to ‘apps’ in your NC account, and find Ghost Machine. This takes you to your Ghost Machine account panel. Once you’re at the Ghost Machine account panel, you just need to click on the blue name text of your site (in this instance it would be ‘copywriting.shop’). Don’t click edit or manage as these functions don’t help with getting your site online. Enter your login credentials on the page you are taken to. Bookmark this site admin page for future reference. Once you’ve successfully logged into Ghost Machine, you’ll see a dashboard filled with example posts. If you’re like me, you’ll immediately want to purge yourself of these imposters. The easiest way to do this is to click on ‘Team’, and then simply delete the author ‘Ghost’, which will get rid of all these template posts. It’s probably easier to do this than delete them one-by-one—there is no option for multiple delete on Ghost. It really is that simple. Once you’re in, just double check things are correct on those general site settings and tags, link to your social accounts (if that’s your thing), then write until your heart’s content with no other interruptions or things to think about. Just click ‘New story’ to launch the easy editor. The intuitive presentation of the step-by-step process ensures you don’t miss any of the information needed to optimize your blog for search engines, such as putting it in the right category. Just click through the clean, spacious screens to bring your blog into the world. So, is Ghost Machine for me? If you just want to get your blogs out there, without any hassle, Ghost Machine is for you. It just works, and there are ways to customize it more if you need to, using more advanced code. To be honest, it’s probably never going to be much other than a blog, as there aren’t anywhere near as many themes or plugins as you’ll find on WordPress. But if a quick, easy blog is what you want, a quick, easy blog is certainly what you’ll get with Ghost Machine from Namecheap.